The Mary Emily Clinical Nutrition Research Unit is home to a number of facilities for the conduct of feeding trials along with assessment of anthropometry, body composition and bone. The first floor houses a kitchen to prepare foods in controlled manner including sitting area for consumption of meals. The kitchen functions well as a cook-chill system with refrigeration and reheating stations. 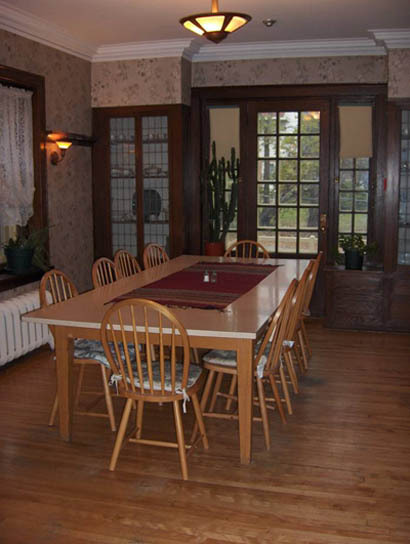 The second floor houses an interview room to provide for attainment of written ethical consent/assent. This room can be used to conduct surveys, interviews and other non-technical measurements. Across the hall, a research/clinical assessment room is dedicated to procedures including blood sampling by phlebotomy team or clinical staff in adults, infants and children. Physical examinations are also possible. The assessment room also enables measurement of weight using adult medical scales or scales and length boards suitable for infants plus height using a wall mounted stadiometer. A new Hologic Discovery bone densitometer is housed in a room adjoined to the assessment room, making flow. This machine has the capacity for measuring body composition and bone from infants to adults and includes the vertebral assessment of fractures software. This equipment is the top of the line model with rapid data transferring systems to enable efficient technical time and reduce transfer errors. The densitometer suite offers technical support for measurement of body composition and bone mass along with quality control monitoring. Precision error for all measurements is available to incorporate into sample size calculation when designing research.